Availability: We're sorry, but Single Sunbreeze Oil bottles are unavailable until further notice. You can still order Sunbreeze 6 packs or 12 packs. We apologize for any inconvenience. Sunbreeze Oil - Made in the USA since 1982 but not sold in typical stores. Other essential oils that aren't nearly as powerful sell for much more. Sunbreeze is not typically sold in stores. Beware of unauthorized Sunbreeze sellers on auction sites! Watch out for expired or copy-cat merchandise. Sunrider does not vouch for unauthorized sellers. Add a few drops to Kandesn Hand and Body Lotion then spread all over the body. Pour a few drops into tea. Menthol, Cassia Leaf Oil, Mint Extract, Eucalyptus Leaf Oil, and Camphor. The totally natural, super concentrated scents of eucalyptus and menthol make Sunbreeze Oil a breath of fresh air. It is an amazing product for tired muscles and so much more. All the herbal supplements, natural foods and health drinks we sell at BestHealthFoodStore.net are not sold in typical retail stores. "Thanks for all your help on Sunbreeze, it’s a great product. When I go for a massage, after lying face down on the table, I flip over for the rest of my massage and my wonderful therapist uses just a very small amount of Sunbreeze oil placed under my nose & at my sinus pulse points. Within minutes, I feel great." 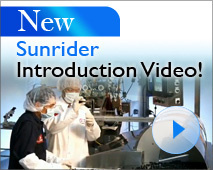 Sunbreeze Oil was the first product that Sunrider began making in 1982. Now, they manufacture over 400 products for health and beauty. 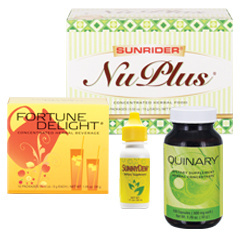 Our health food store online only carries Sunrider products because they are Simply the Best!